I wrote a whole post this morning and then WordPress chewed it up and spat it out and now I do not have time to do it all again. This will be brief. Been busy today doing practical things and preparing for our trip away later this month. 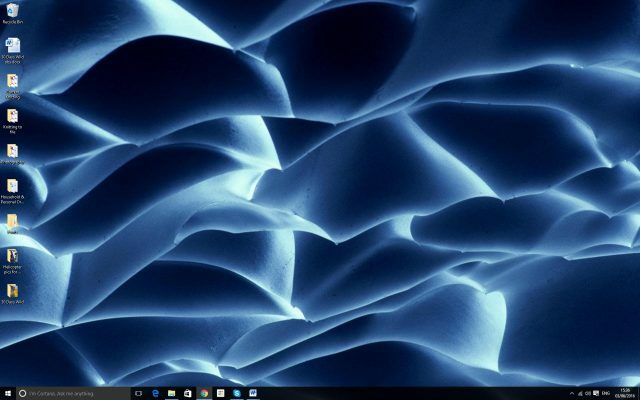 Not feeling up to scratch generally and unable to type very much as I have been overdoing the keyboard and mouse lately. I had hoped to do a Kirkyard Prowl but even though the weather is improved, I can’t see me making the effort – thus today’s Wild acts are indoor ones. I have an Android smartphone and have been adding some Apps that I hope will be useful when we are away on our holiday. 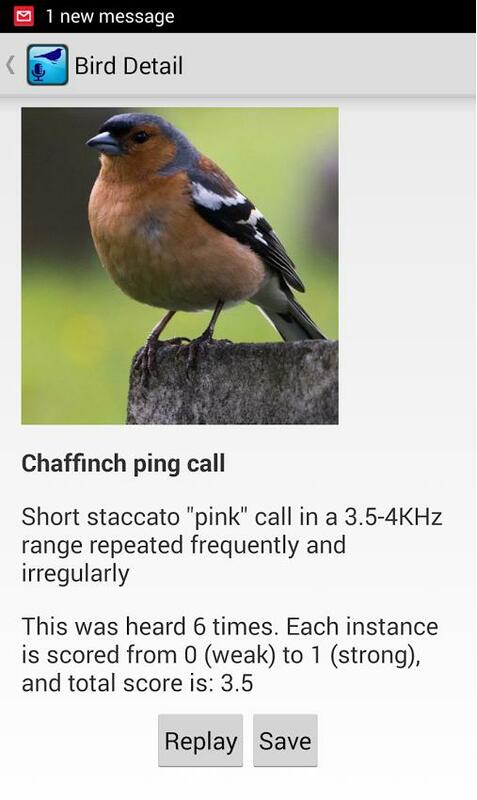 The first is an app that listens to birdsong and identifies the bird. Amazing! I cannot fully recommend it yet as I have not tried it out. The second app is a Bird list that offers listings by location and season, showing you the birds you are likely to come across. I haven’t properly tested this one yet but am surprised it is suggesting that here on Sanday right now I might come across a Capercaille, a Red Grouse or a Golden Eagle! Hmm…. Free app with annoying advertising but there is a paid version that removes the ads. Simple and easy to use list of all the birds you can see in Great Britain. Also shows what birds are likely to be in your area at the moment. Search option : Search by name or part of name to see basic bird details such as size, habitat and colours. You also have the option to see full bird details on line. 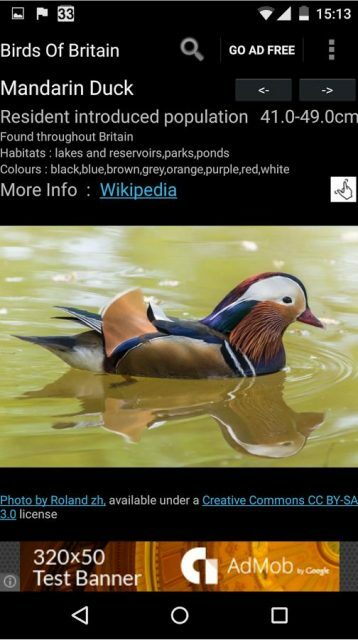 Browse option : browse all birds or select by family (option to exclude rarities). Peaks and valleys ripple across the ceiling of an ice cave in Bavaria, Germany. A far better day with sunshine and a softer breeze. Surprisingly, no birds outside the bedroom window when I dressed today. The sun was shining but there was a stiff breeze. Just a few Starlings on the wing. When I went to hang my washing out the Starlings that are nesting in the doocot were out and about busy gathering food for their brood. 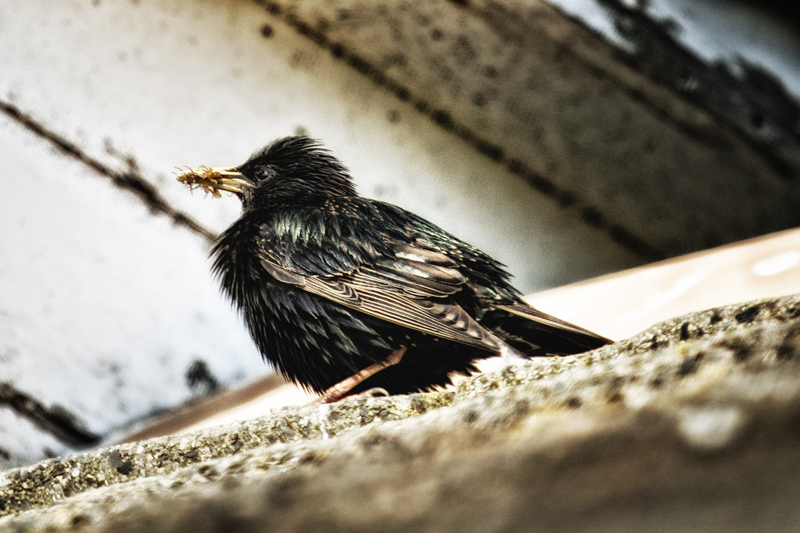 They will not enter the nest if we are about but sit on the ridge tiles, scolding loudly until we go away – as though they do not realise that we know what they are up to! Kids, fancy a Takeaway tonight? It amazes me how much noise a Starling can generate with a beak-full of grubs to hang onto!